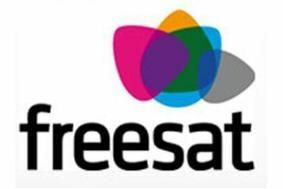 Freesat admits supply problem with set-top boxes | What Hi-Fi? Speaking at the annual BADA (British Audio-Visual Dealers Association) Conference, Richard Lindsey-Davis, Freesat's commercial development director, said: "We have not been able to get enough set-top boxes and Freesat TVs to meet demand." He also admitted that he delayed the launch of the first high-definition set-top boxes from the Alba Group – the Bush BFSAT01HD, Goodmans GFSAT200HD, Grundig GUFSAT01HD – "because the standard-definition picture was so awful". "The standard-definition output on the Alba boxes wasn't as good as it should be or as good as that on the Humax Foxsat-HD box," admits Lindsay-Davis. "Alba is trying to improve it. It wasn't something they'd thought about – they assumed people wouldn't use it." Lindsey-Davis says another three Freesat-equipped TVs are due from Panasonic later this year, and he's in discussions with other manufacturers including Sony, Samsung and Toshiba about launching Freesat models to improve the supply situation. "We're on course to have 200 channels by the end of this year, and while there is limited free-to-air high-definition content at the moment, it's beginning to grow," he says. "I can see a time when BBC1 and ITV1 will be full HD channels." Although a new version of Freeview is expected to launch in 2012-2013 with two or three high-def channels, limited capacity on the digital terrestrial TV network means "Freeview will never have the depth of HD content Freesat has," says Lindsey-Davis. Freesat hopes to offer the BBC iPlayer on its platform from 2009, and there's potential for streaming audio and video, and on-demand services as well. The company is also in discussion with Apple and Microsoft about the possibility of delivering Freesat services via a Media Centre computer.